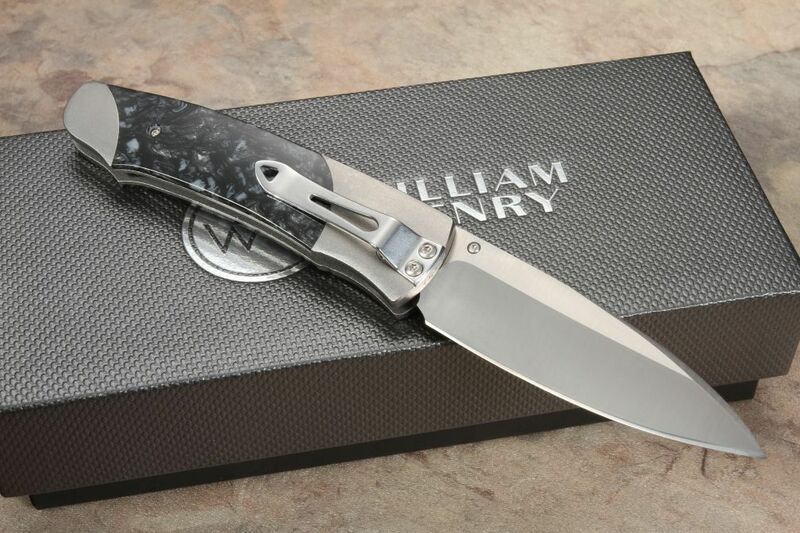 When it comes to fine folding knives, William Henry knives are as beautiful to look at as they are functional tools for every day carry purposes. You might underestimate a knife that could be just as easily considered jewelry as it would be a functional knife, crafted from some of the best tool steel and titanium available to knife makers today. 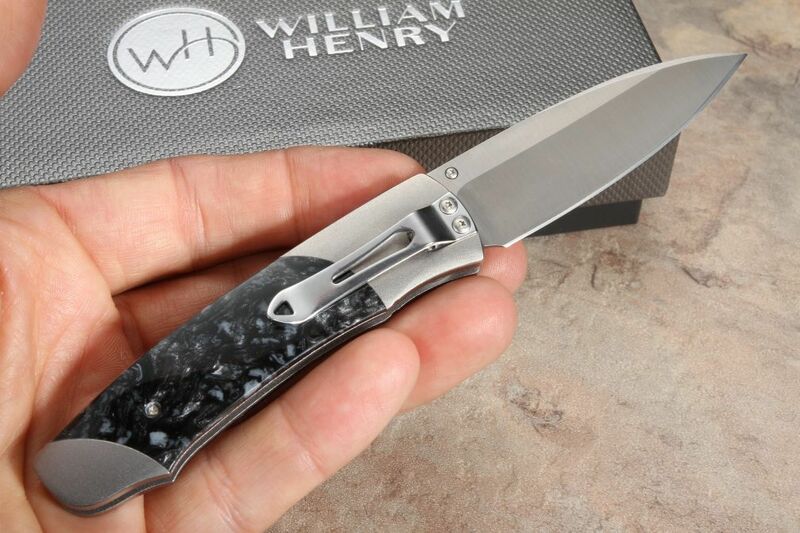 But considering the reputation William Henry Knives have made for themselves over the years, it is no stretch of the imagination to know a superior quality knife when you see it. 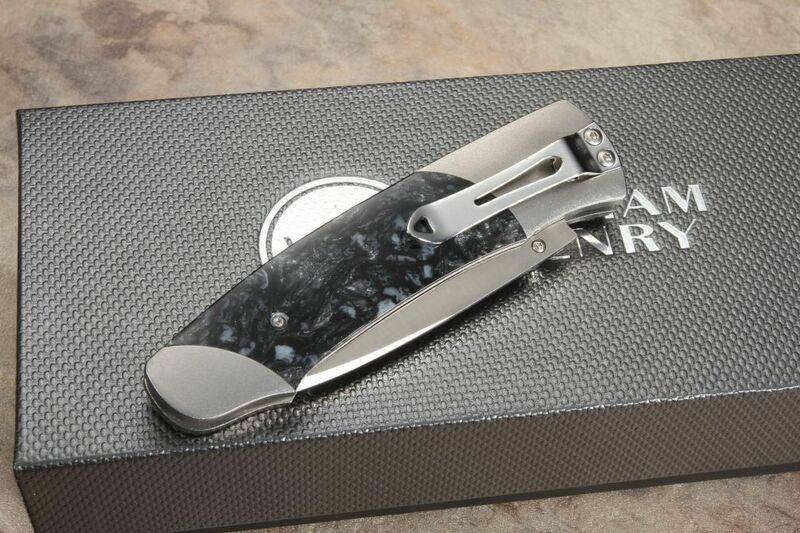 The A-200-1 is the mid-sized knife in the A-Series, measuring 5.88" overall with a 2.63" clip-point blade, the A-200 is sized nicely to carry in your pocket or worthy of a display case for any collector. The blade is crafted from American-made CPM 20-CV stainless tool steel, which possesses some of the highest levels of chromium in a vanadium stainless available to knife-makers today. Not only is it corrosion resistant, but this steel is at the right levels of toughness and hardness (58 HRC) to keep and hold a razor sharp edge for a very long time. The blade deploys via a thumb stud and is held in place with a push-button locking mechanism. 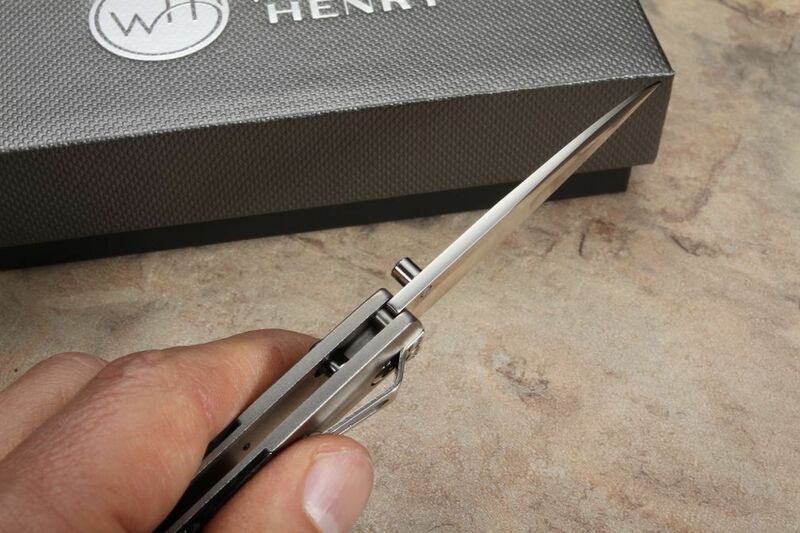 The handle is made from a durable aircraft quality titanium alloy, which features additional aluminum and vanadium for extra strength and durability. 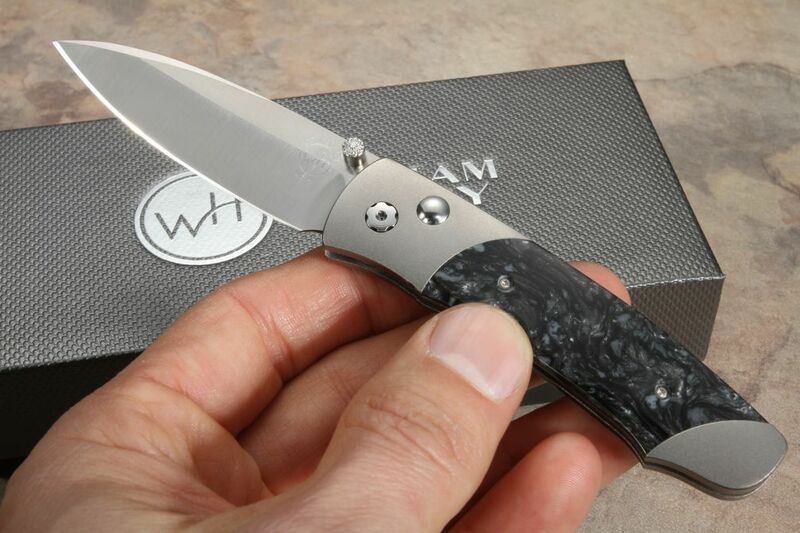 The Kirinite scales are a unique polymer blend that is hardy as well as color-safe, giving your knife a striking look that is both eye-catching and functional. A stainless steel deep-carry pocket clip allows for tip-down carry for EDC use, but we wouldn't be surprised if this blade found a special place to be shown off in your collection. William Henry makes heirloom quality blades to last a lifetime. Made in the USA, the A200-1 is priced nicely at $395. 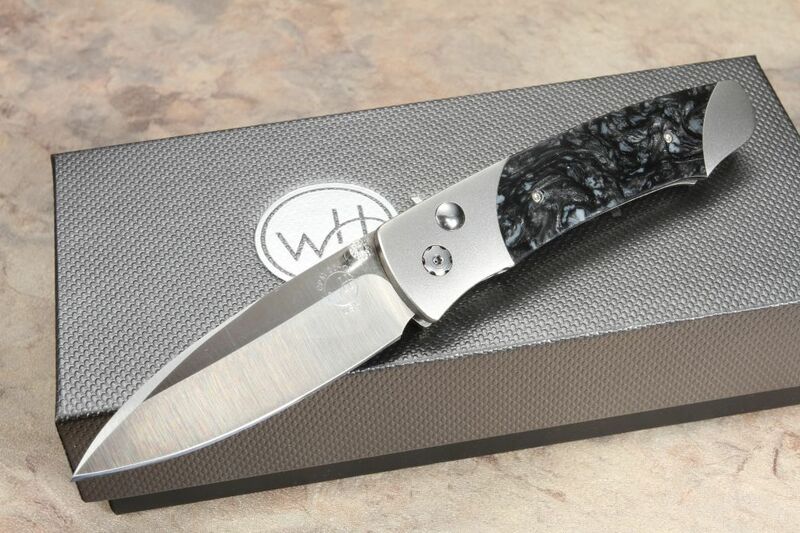 As an authorized dealer of William Henry Knives, Knifeart.com offers fast, free shipping as well as a satisfaction guarantee for these curated knives. If for any reason, you don't love your purchase, simply return it, and you will not be charged for restocking fees.